The pork for tuition program instituted by Lindenwood University of St. Charles (MO), reported in July 30 and November 19 issues, has spawned a first for the university...a new course on bartering. Lindenwood University's professor Ed Morris contacted BarterNews and reports that he will be teaching the class on barter. The university continues to reap national exposure, with ABC News' Peter Jennings doing a segment, as well as the BBC. Decades ago, in Troy (MI), a very good idea started out modestly...and just grew and grew. The idea was an entertainment book that entitled users to discounts on dining, travel, shopping and attractions. Today, it is national in scope and has offers from about 70,000 merchants (aggregately), with many trade exchanges offering the entertainment book to their members. USA Interactive has just purchased the company for $370 million. Plans are for USA Interactive--which owns or controls Expedia, Ticketmaster and Home Shopping Network--to integrate the discount book into its e-commerce and city-guide offerings. Thus giving customers an alternative to the traditional paper coupons found in the book. The trade exchange industry in the U.S. will rebound and undergo above average growth in 2003. The mindset and attitude is changing back to that of years ago, as the lethargy exhibited during the dot-com hangover has subsided. The industry's potential is still staggering. As fulfillment grows the payoff will too, because a viable, multi-lateral currency (trade dollars) has considerable value for every undercapitalized small business owner. And very, very few small business owners are not undercapitalized. Companies of every size and description can create their own "currency" through the use of gift certificates, and the use of them is growing throughout the economy in a very quiet way. Now leading hoteliers, the Fairmont Hotel chain, Relais & Chateaux and Leading Hotels of the World, have all launched gift-certificate programs in the last two months. The latter two are even honoring each other's certificates, giving holders a wide-ranging choice of more than 700 hotels and restaurants. The Hyatt chain has been successfully using certificates since 1990, and reports that demand continues to expand because of the practically of such a "gift." The Ritz-Carlton's gift certificate program's fourth-quarter sales are up 43% from a year ago, with businesses increasingly using gift certificates as a corporate reward. More entrepreneurs should realize the value of using their own currency (scrip/gift certificates). The FastStart Barter Program I devotes an entire chapter to this subject: included are the 21 advantages of using scrip, 9 ways to obtain scrip, as well as samples of scrip and due bills. Only 56% of second home buyers used mortgage financing, the balance are tapping savings, earnings from stocks/bonds, or an inheritance recently received. Now available...781 of the most important barter contacts, US and global, in the world! 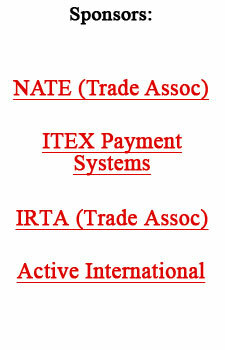 If your barter company isn't listed, e-mail us your information. Bartercard Southern California (El Cajon, CA) Holiday Fair will be held Sunday, December 8, at their headquarters 450 Fletcher Parkway. For information (619) 937-0202 or (714) 689-2669. You can obtain every available back-issue of BarterNews...gain expertise, knowledge, and the ability to do any sized barter transaction. The L.A.-based Pacific Council on International Policy says Japan can dig itself out of its hole by creating more opportunities for women, entrepreneurs, migrants, and foreign investors. Thus opening its economy and dispelling the ghosts of protectionism. But most importantly, it must change the way decisions are made and establish rules that are fair and transparent. Federal Reserve Chairman Alan Greenspan said Japan will suffer from slow growth until they remove "structural rigidities" in their economy. The way to do it is through increased competition, "Do what we (the USA) did. We've had 25 years of extraordinary deregulation." According to the ad man, "the minute you write a McDonald's or Burger King commercial, you're in line to be sued. You're another defendant." Taken one step further, if this stands up, will clothiers be sued for clothes that make people look heavy? The Federal Trade Commission is now suggesting that the media purveyors, i.e. TV outlets and magazine publishers, should become an arbiter of advertising content. In other words, the media should be making a decision on whether a placed advertisement is legitimate. The media claims that accepting some ads and rejecting others could make them vulnerable to lawsuits. Furthermore, they contend, the media shouldn't be an arbiter of advertising content. Joe Ostrow, president of the Cable Television Advertising Bureau says, "Clearly the primary, if not total, responsibility is with the manufacturer and the ad agency that executes the ad." Adds Michael Pashby, executive vice president of the Magazine Publishers of America, "It's unduly burdensome and impractical to require publishers to compare the products against claims made in advertising." Just a couple of years ago every entrepreneur was focused on getting venture capital. Today, according to the National Commission on Entrepreneurship, it is government contracts! What's happened? Venture capital has dried up, while government spending is growing. Problem is, small firms are often shut out of the contracting process. The White House Office of Management and Budget reports that the number of small-business government contractors declined 56% in the past decade. For years the advice was to seek diversification and invest in mutual funds. Now, according to statistics, it looks like more and more investors are not only wanting diversification but greater returns. And they're willing to take on more risk by investing in a vehicle with looser regulation--hedge funds. The Wall Street Journal reported that, globally, hedge-fund assets have skyrocketed to $600 billion in 2001 from $45 billion in 1990.